It all began with one. Since its humble beginning in 1988, the Education Foundation of Sarasota County has been graciously shepherded by one of Sarasota County’s most beloved community members, Shirley Ritchey. 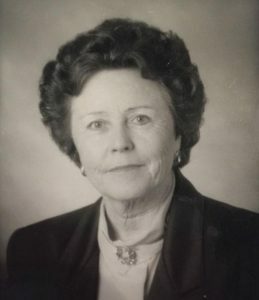 As the Foundation’s founder and passionate advocate for superior public education, Shirley Ritchey’s early vision to create a foundation uniquely dedicated to supporting the students, teachers, and schools of Sarasota County has remained steadfast. Guided by the energetic passion of our founding director, who continues to dedicate her time to our organizational programs and initiatives, the Education Foundation has achieved monumental gains over the past 30 years. The Education Foundation has entered into an exciting and pivotal period as it plans for innovative initiatives that will transform area students, teachers, and schools. The Education Foundation advances into this future with the strong commitment and guiding leadership of a skilled board, an accomplished president, and a talented, creative, and dedicated staff. In support of its commitment to a lifelong love of learning, the Education Foundation will ensure and sustain its legacy as an independent, philanthropic organization. “Standing on the shoulders of giants,” it will strive to make a collective impact for Sarasota County by integrating its vision and programs with those of nonprofit counterparts and through corporate and community partnerships. The Education Foundation’s goal to amplify the work of Sarasota County Schools, community leaders, experts, and philanthropists is reflected in programs and initiatives the Education Foundation can introduce and facilitate that our partners are unable to, such as college advising. This goal is central to our entire community’s blueprint for success in the next hundred years. The Education Foundation will remain enthusiastic and faithful in its campaign to strengthen youth as they emerge into responsible citizens prepared for the rigors of a progressing global society.